• Vague answers that don't match the question. • Destination, location or route don't make sense or doesn't exist anymore. • Difficulty determining date, time or year. PRESCOTT – When a police officer here stops an older driver for erratic driving or a poor decision such as cutting off another car, he or she will look for signs of disorientation, agitated behavior or a shuffling gait, along with other signs of Alzheimer’s. If drugs and alcohol don’t appear to be factors, the officer will run the vehicle’s registration to make sure the driver hasn’t been reported missing, take steps to arrange a safe trip home and follow other steps that are part of a revised policy for dealing with those with the disease. “If you write them a ticket and let them drive away and they cream a family or something or they cause a further traffic problem, then we haven’t done our job,” said Sgt. 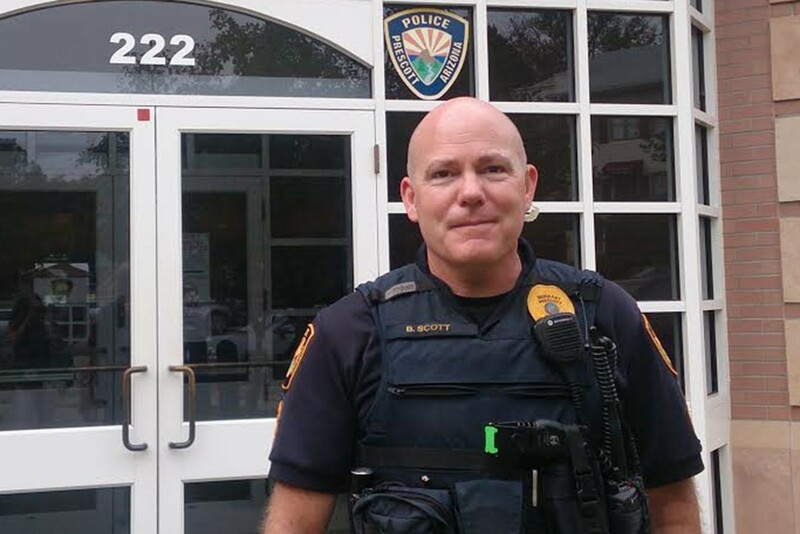 Ben Scott, who trains fellow Prescott Police Department officers on the policy. With a growing population rich in retirees, Yavapai County is estimated to have 6,000 residents with Alzheimer’s. That number is expected to rise to 9,400 cases by 2020, according to the Alzheimer’s Association’s Prescott office. Recognizing that Alzheimer’s is an increasing problem here, the police department applied for and received a $50,000 grant in October 2013 from the U.S. Justice Department’s Bureau of Justice Assistance. That’s gone toward training officers to recognize if someone has the disease and how to interact with someone who may have Alzheimer’s or dementia. Scott said police also respond to 911 calls when a loved one with Alzheimer’s becomes aggressive and someone needs help controlling him or her. The new policy focuses on getting that person help rather than making an arrest. “We would take him 90 percent of the time to the hospital, get the medical staff involved, get you some help,” Scott said. If an assault occurs, instead of arresting the Alzheimer’s patient police will allow the city prosecutor to review the circumstances and determine that jail time is unnecessary because the defendant’s medical condition. Mary Beals-Luedtka, director of the Area of Agency on Aging/ Northern Arizona Council of Governments, said it’s important for police and first responders to be aware of aging issues. Prescott police also created an Alzheimer’s Alert form allowing residents to provide information about possible triggers that might cause a loved one with Alzheimer’s or dementia to become aggressive as well as possible places the person might go if he or she wanders away from home. 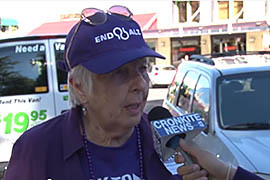 The department reached out to the Alzheimer’s Association’s Prescott office to help get the word out. Officers don’t have access to the forms but are notified by dispatchers if they are responding to an address listed on a form. Scott and others with the Prescott Police Department say their goal is creating a model that other departments across the state and nation can follow. With a growing population rich in retirees, Yavapai County is estimated to have 6,000 residents with Alzheimer's. Cronkite News reporter Mackenzie Scott explains how a new policy helps police identify those suffering from the disease and get them help. Sgt. Ben Scott trains fellow Prescott Police Department officers on a new policy for dealing with those who have Alzheimer's.